Light clubchair, without silver attachments on the feet, with straight tapered legs from solid wood. Hand-carved wooden rosette, silver plated. 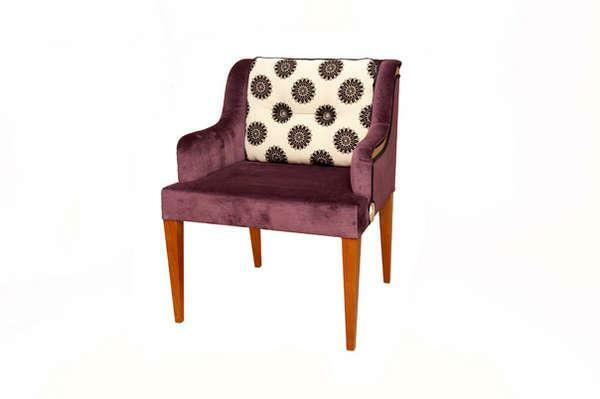 With glue laminated veneered backrest and armrests, made from 2,5 mm thick veneer. Removable double upholstery at the top and high-quality Romboflex padding for the backrest. Double welt made from complimentary fabric, usually from silk.